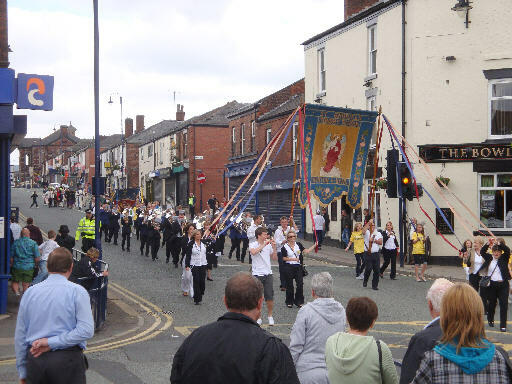 This page shows a selection of photos from the Walk that took place on 21st June 2009. 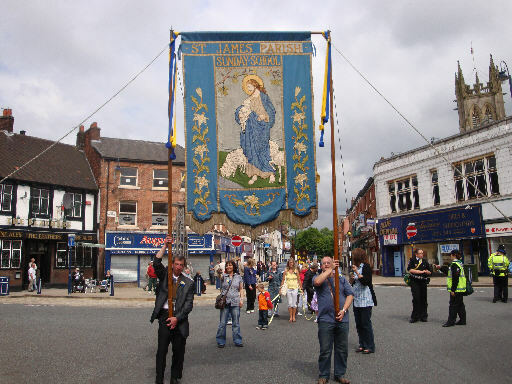 St Gabriel's Sunday School walk down Penny Meadow. 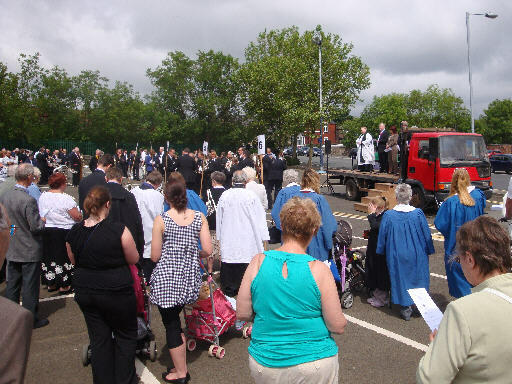 The church congregations assembled for a united service at Cowhill Lane car park where Ashton's MP David Heyes did the first reading. 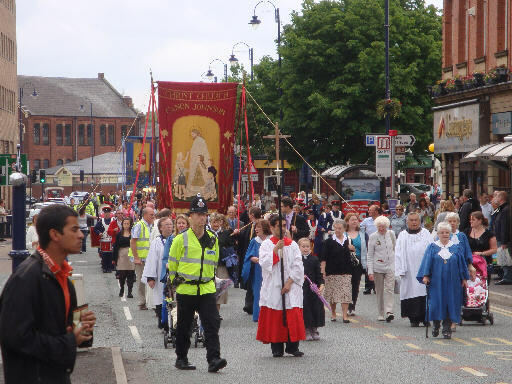 With Mr & Mrs Heyes on the platform were Tameside's Deputy Mayor Susan Quinn and consort Councillor Keiran Quinn along with Rev. 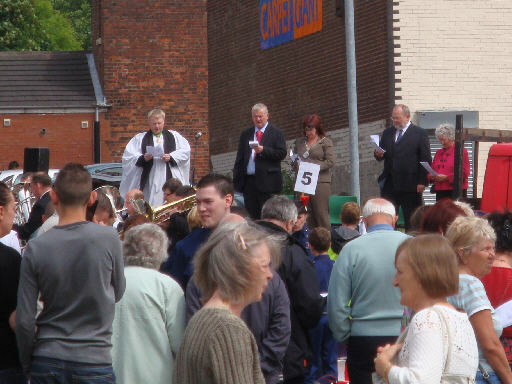 Lee from Christ Church. 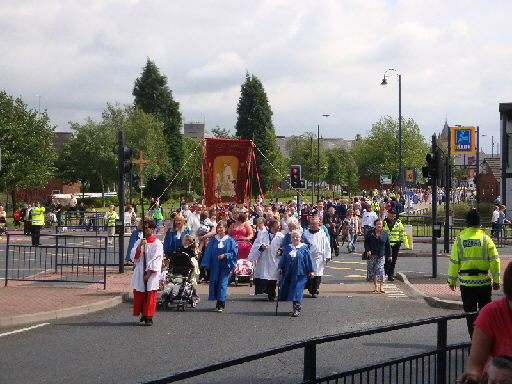 St Michael's and St Gabriel's lead the united procession down Penny Meadow at the start of a route around the town centre. 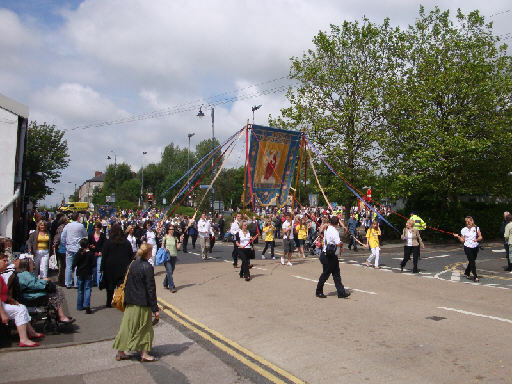 The procession turns up Penny Meadow. 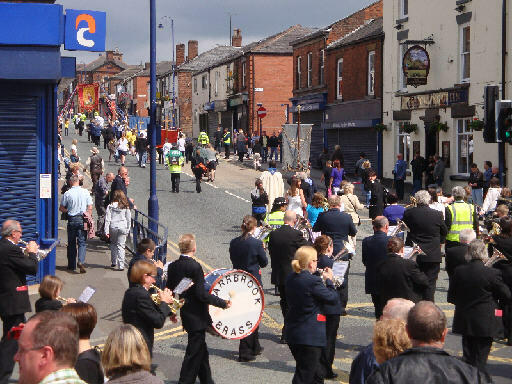 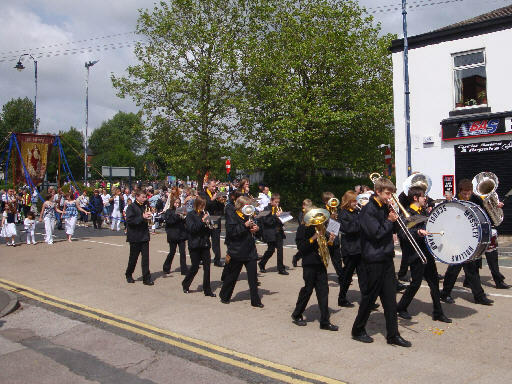 Mossley Hollins School Band regularly takes part in the Ashton's annual Walk. 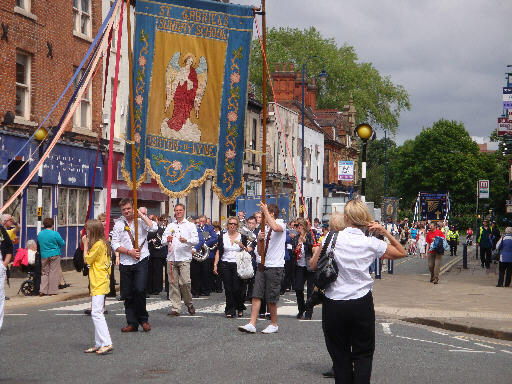 The procession reaches Stamford Street. 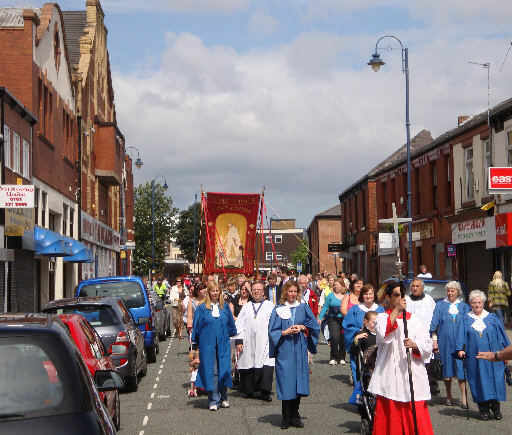 Christ Church parishioners head back along Oldham Road and across Wellington Road. 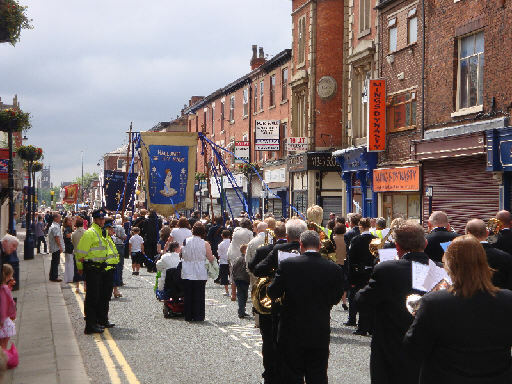 Photos of the 2010 Ashton's Whit Walks here.